The “New Mobile” era is here. What are the top 10 insights in this growing market? And how can you capture its value? 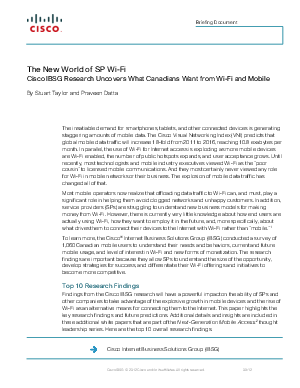 Find out in this Cisco® Internet Business Solutions Group (IBSG) survey of 1,060 Canadian mobile users.